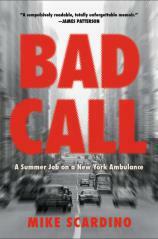 BAD CALL is Mike Scardino's visceral, fast-moving and mordantly funny account of the summers he spent working as an "ambulance attendant" on the mean streets of late-1960s New York. Fueled by adrenaline and Sabrett's hot dogs, young Mike spends his days speeding from one chaotic emergency to another. His adventures take him into the middle of incipient race riots, to the scene of a plane crash at JFK airport and into private lives all over Queens, where New Yorkers are suffering, and dying, in unimaginable ways. Learning on the job, Mike encounters all manner of freakish accidents (the man who drank Drano, the woman attacked by rats, the man who inflated like a balloon), meets countless unforgettable New York characters, falls in love, is nearly murdered, and gets an early and indelible education in the impermanence of life and the cruelty of chance. 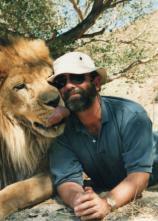 Action-packed, poignant and rich with details that bring Mike's world to technicolor life, BAD CALL is a gritty portrait of a bygone era as well as a bracing reminder that, though "life itself is a fatal condition," it's worth pausing to notice the moments of beauty, hope, and everyday heroism along the way.